The Ricardo Motorcycle conference is now firmly established as a must-attend event in the motorcycle industry calendar. Each year, the event draws together senior management, engineers and thought-leaders of the world’s leading motorcycle brands and their technology and component suppliers, to discuss the future trends, legislative and market drivers, and technological opportunities that they face. The conference this year will take place at the Museo Nazionale della Scienza e della Tecnologia Leonardo da Vinci, in Spazio Polene, a spectacular space in the Air & Water Transport building of the museum. 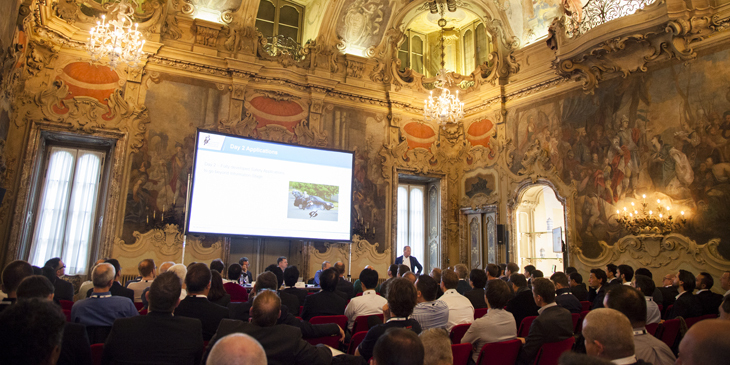 Following the formal opening of the conference, technical sessions will focus respectively upon the topics of future powertrain technologies, future vehicle technologies, and motorcycle market drivers. Presentations will be provided by representatives of some of the world’s leading motorcycle manufacturers, tier 1 suppliers, and academic researchers, including BMW Group, Bosch, Ducati, KTM Technologies, KISKA, Piaggio, Graz University of Technology, Politecnico di Milano, Queen’s University Belfast, and Ricardo Motorcycle. Following on the success of last year’s event, three interactive ‘Expert Dialogues’ will complement the main conference programme. These are free discussion sessions covering a range of themes of relevance to motorcycle development, and drawing together experts from both the automotive and urban mobility sectors. The sessions focus on the latest technologies and discuss when and how these might be applied to future motorcycle development. Topics will be ‘Human Machine Interface for Improving Riding Experience’, ‘Industrial Design Approach on Motorcycle Development’ and ‘RIDE and DRIVE - Efficient Calibration Methodology for Motorcycles’. Further details of the technical programme and details of delegate registration – including the special early-bird rate available for those registering before 14 September – for the fifth Ricardo Motorcycle Conference can be found at: www.motorcycleconference.com.